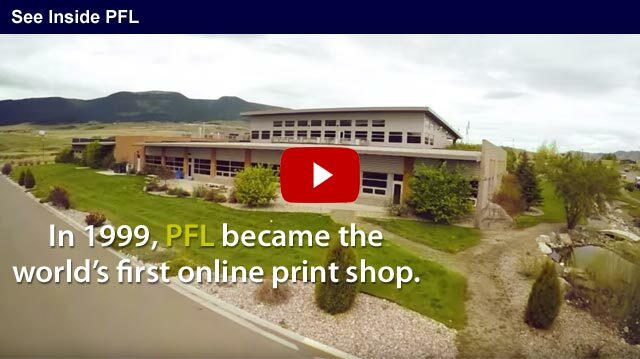 PrintingForLess.com (PFL) is the nation's first e-commerce commercial printer. Since 1996, we have helped over 220,000 customers, from entrepreneurs to the Fortune 500, implement high-impact print marketing strategies. 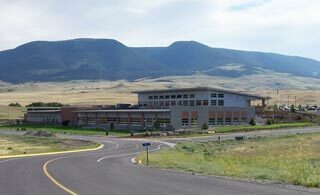 Our environmentally sustainable building is nestled between three mountain ranges and our employees are fueled by fresh Montana air, views of the surrounding snowcapped peaks, and frequent licks of encouragement from our co-workers. (We have lots of dogs roaming our halls). We provide a one-stop shop for all your printing and mailing needs. Our dedicated in-house customer service teams (real-life people who actually answer their phones) make it their mission to make your print job a success. From marketing advice, design services, mailing capabilities and exceptional print quality, we truly handle it all. From the first phone call to the well-protected packaging, we are serious about delivering the best customer experience possible. We provide unmatched value, made possible by our high volume and state of the art manufacturing operations, all done with the service that you would expect from a small local print shop. "Our whole gig," says CEO, Andrew Field, "is being easy to do business with."